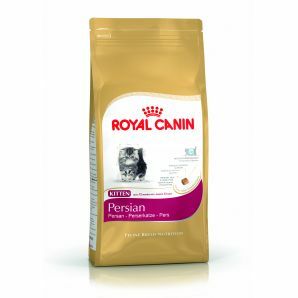 Persian Kitten - for Persian Kittens from 4 - 12 months. Provides a unique response to the Persian kittens growth. Specially adapted kibble for the persians flat face and round head. The Persian kitten starts to acquire its long, dense coat at the age of 4 months. Its hair is longer than any other kitten at the same age. The persian is the top breed in all countries around Europe.